Use these candles for a themes gathering, a tabletop gaming night, or just a time and place when you want some aromatherapy. 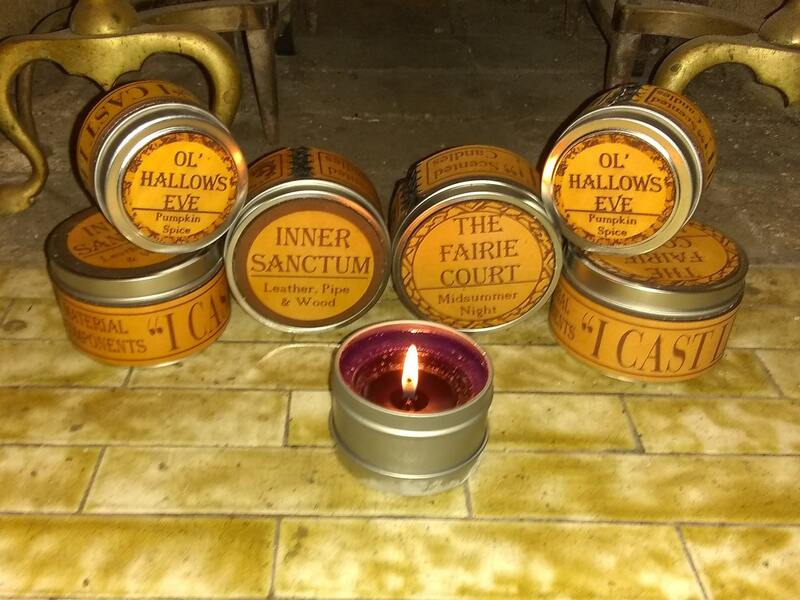 Quality scented candles hand picked and locally sourced are encased in laser cut and hand dyed leather for a beautiful decoration or even costume accessory. Because a number of the manufacturing processes rely on manual skills, each piece has its own individuality and slight variations in color or design may occur. None of these, however, alter the overall quality of the product.